Will the Windows Phone 7.5 App work on Windows Phone 8? When I was trying to deploy and debug a Windows Phone 8 app from Visual Studio 2012, I ended up getting the following error. 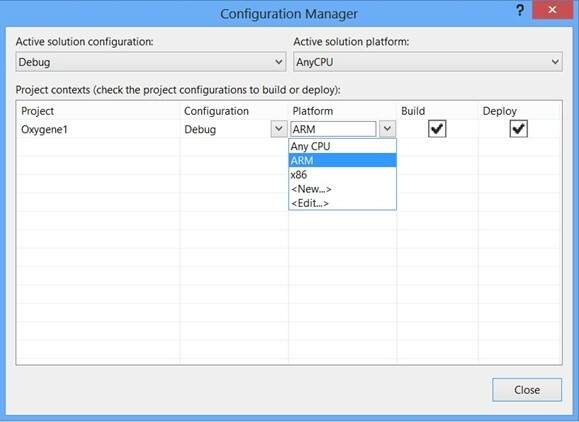 In the Configuration Manager screen, set the platform to ARM and then click close button.